Like all of you, we drive UTVs for fun, sport and adventure, but safety is our number-one priority, especially in today’s powerful UTVs. The stock seat belts are easy and convenient, and they encourage drivers to use them at all times and will help keep riders in their seats in the result of a roll-over. OE seat belts do allow the riders to shift around in the cab. That doesn’t seem like a big deal, but it can become a nuisance during a long ride or those times when we feel like Parnelli Jones. However, with a good set of harnesses for the driver and passengers, you will be more secure, safer and it will help you drive the machine with greater precision. So, for those who want more safety and to be more secure in the cab, here’s a list of great harnesses to choose from. Whether you want a full race harness or just a standard four-point harness, we have something for everyone. Some models may need an additional roll-cage bar for mounting and possibly a seatbelt bypass plug. Please check with these fine companies to find answers for your specific machine before purchasing. The SFI Foundation, Inc. is a non-profit organization established to issue and administer standards for the quality assurance of specialty performance and racing equipment, and many belts are SFI certified. An SFI certification means the belts have been tested to make sure they meet current safety standards. 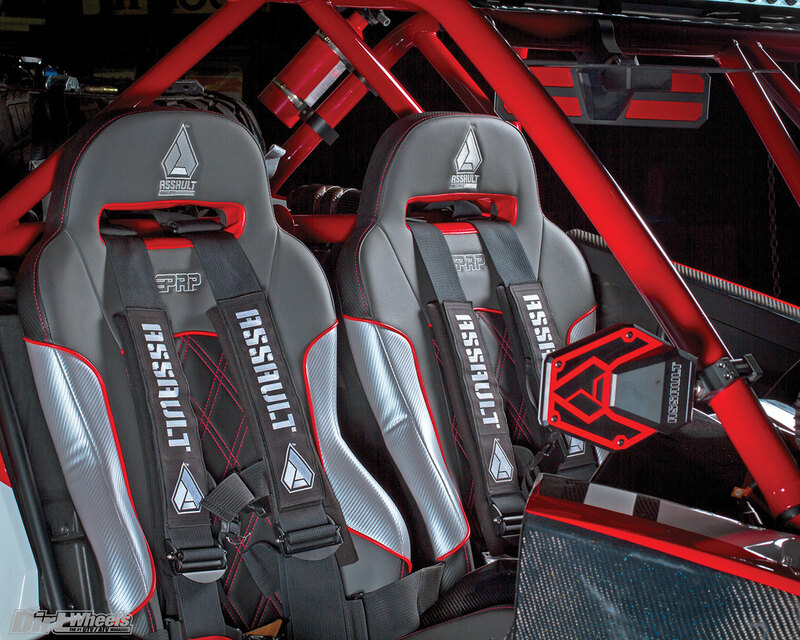 Assault Industries; H-Style five-point racing harness is SFI 16.1 approved. It features military-grade construction; easy adjusters; heavy-duty hardware; padded, removable, colored straps for washing; and a removable sternum strap. 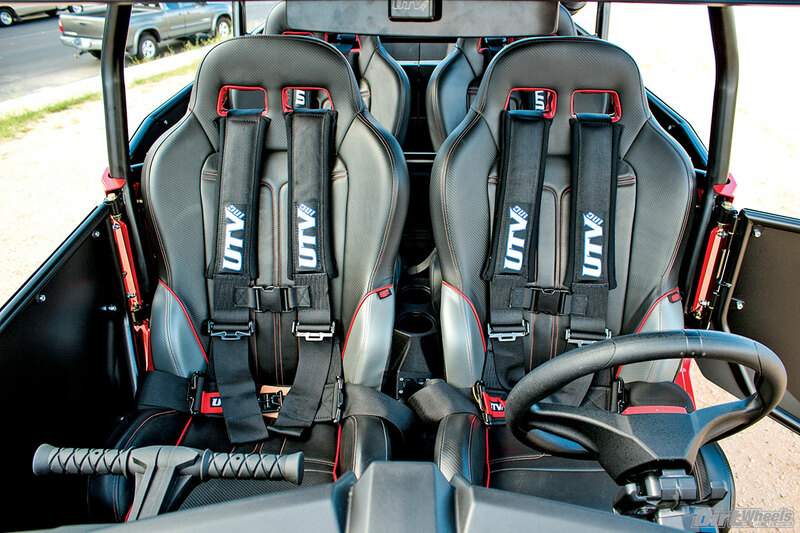 Assault Industries also has their SFI V-Style five-point racing harness ($149.99). 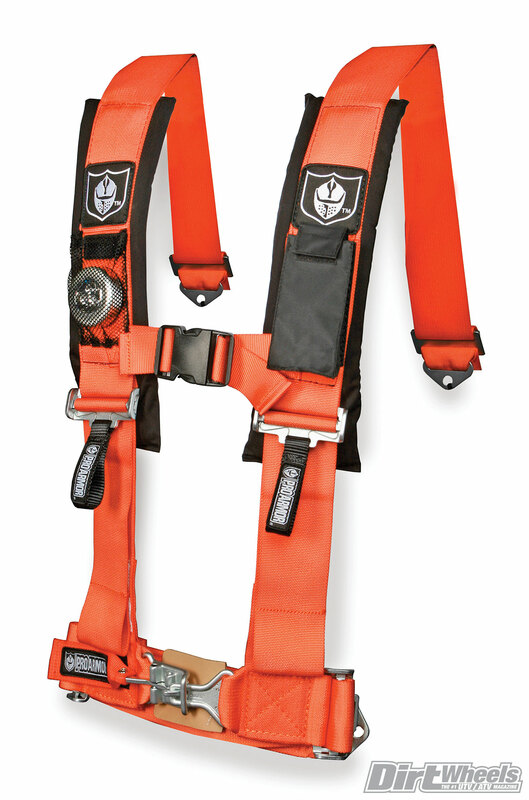 The 2×2 four-point quick-adjust harness is Crow’s newest restraint in their lineup. It’s designed with 2-inch-wide straps, has a quick-adjust latch & link system, has sewn-in pads, and it bolts into the UTV. Crow also offers a standard 2×2 four-point latch & lock ($89.95), 2×2 four-point automotive-type buckle ($79.95), 3×2 four-point latch & lock ($89.95) and 3×3 four-point latch & lock ($89.95). Beard Seats’ five-point 3×3 system is SFI 16.1 approved. The harness is built with 3-inch-wide straps, thick padding, is fully adjustable, built with heavy-duty materials and offers an anti-sub strap. Beard Seats also offers a 2×2 latch & link five-point ($109.99), 2×2 automotive buckle four-point ($89.99) and a 2×3 latch & link five-point ($119.99). Pro Armor’s four-point harness has passed all the SFI tests but is not SFI certified for racing. It features 3×3 straps, sewn-in pads, a water-resistant cell phone pocket, free LED flashlight and mesh pocket for the light, and an adjustable sternum strap. Pro Armor also offers a 2×2 four-point latch & link harness ($109.95), 2×2 five-point latch & link harness ($124.95), 3×3 five-point latch & link harness ($134.95–$149.95), and a 3×3 five-point latch & link SFI-approved harness ($134.95). 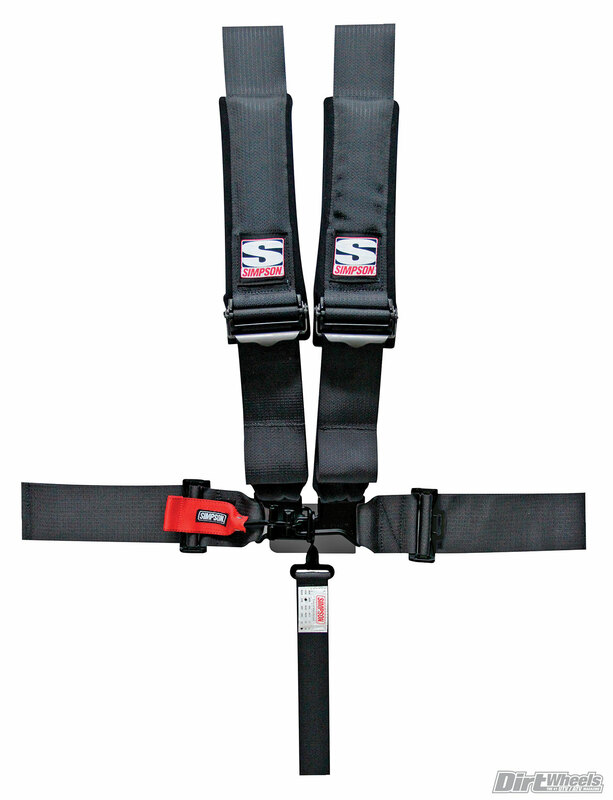 MTA Distributing’s Slasher 3×3 harness is a latch & lock harness. It offers padded shoulder straps, a sternum strap and it’s built with quality material. Slasher also offers a 2×2 four-point latch & lock harness ($101.54) and a 3×3 five-point latch & lock harness ($123.08). 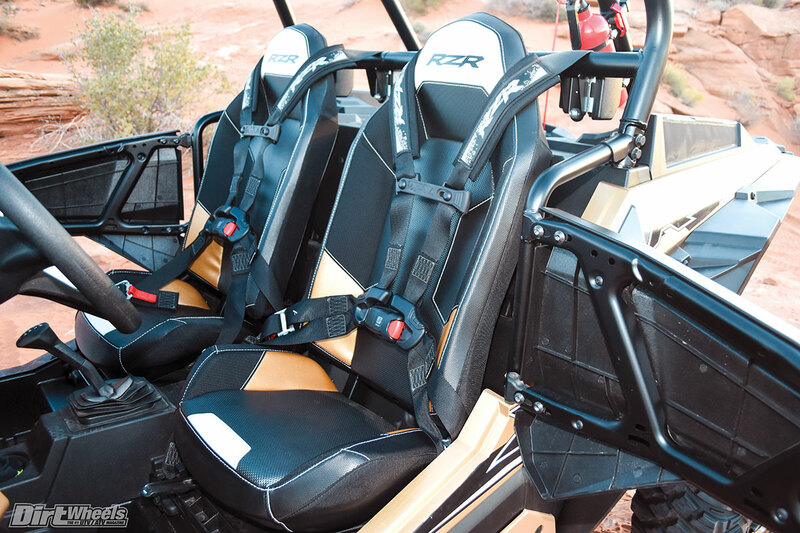 Polaris offers these retractable 3×3 six-point harnesses for the driver and passenger. The retractable belt allows more freedom of movement and securely locks when needed for safety. They’re fully adjustable to fit all riders, easy to buckle, easy to adjust and it has a quick-detach feature that allows seat removal. It’s also CAPE tested for safety. Polaris also has their SubZero four-point harness ($179.99). Mastercraft’s latch & link five-point harness is SFI 16.1 approved, and so is the rest of its lineup of harnesses. It has a 3×3 material design, QSR adjusters, anti-submarine belt, and hook & loop latch guard. 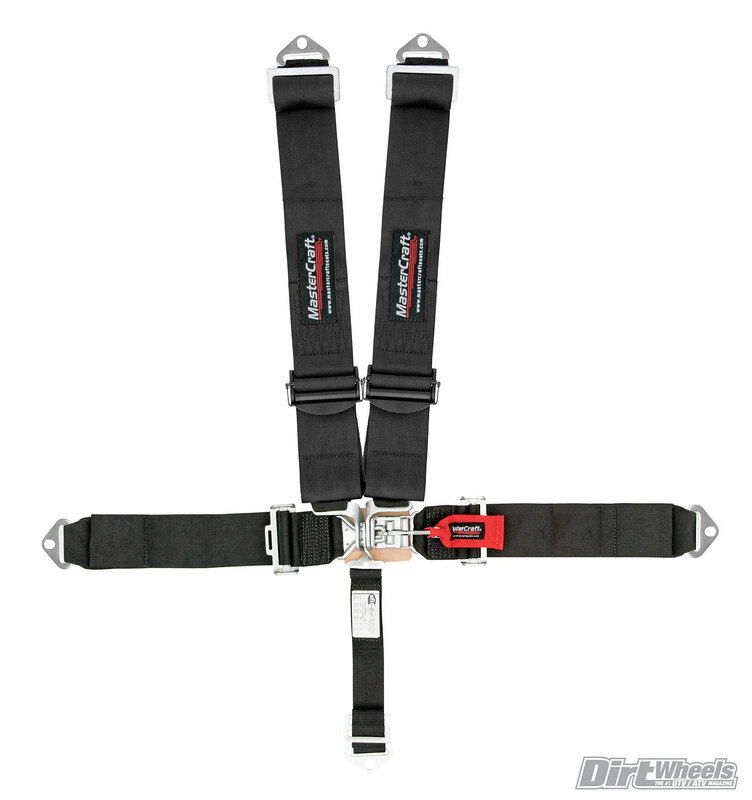 These harnesses can either be bolted in or employ a Mastercraft Snap-In option. Mastercraft also offers a 2×2 five-point latch & link ($119.95) and a 3×3 five-point latch & link harness without the QSR adjusters ($129.95). 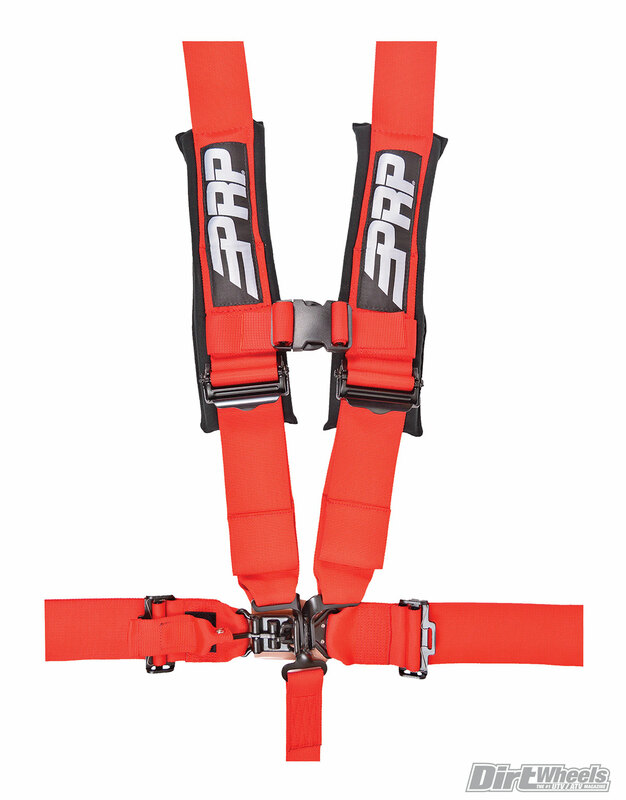 The PRP 5.3 harness is a five-point harness that is SFI 16.1 approved for racing. It features 3×3 straps, sewn-in pads, EZ adjusters on the shoulders, a removable sternum strap and all-black hardware. The 5.3 can either be bolted down or wrapped around a roll bar. PRP also offers a 4.2 automotive buckle-style harness ($99), 4.3 latch & link harness ($129), 5.2 latch & link harness ($129), 5.3×2 latch & link harness ($135), and a 5.3 ratcheting harness that’s SFI approved ($275). 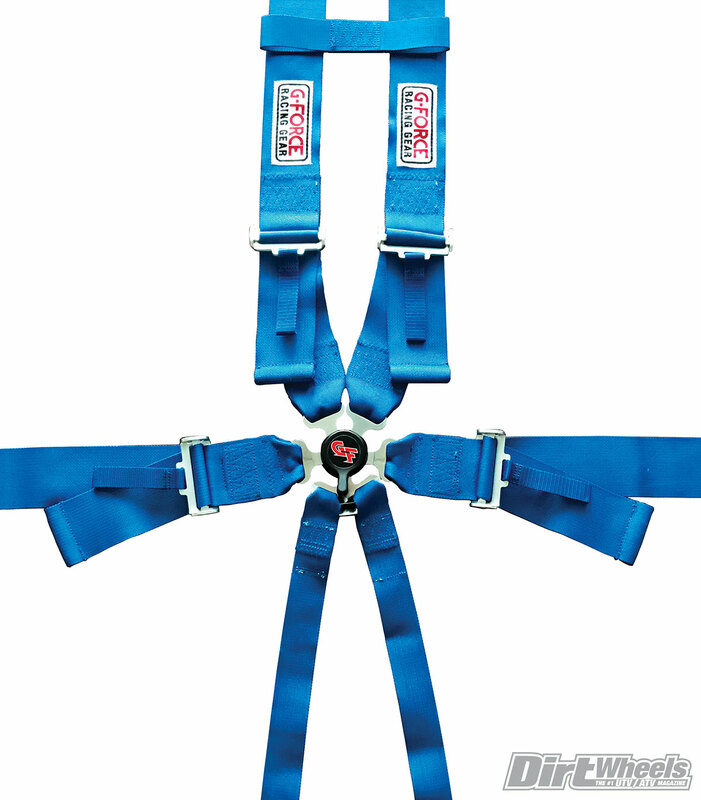 The Camlock six-point H-Type harness from G-Force offers great protection and an easy-to-use camlock system. Their entire lineup is SFI 16.1 approved for racing safety standards and features an anti-sub strap. Heavy-duty nylon construction keeps the driver and passengers secure. G-Force also offers a five-point/six-point H-Type latch & link harness ($94.99-$109.99), Junior Racer latch & link harness ($89.99), and many more to choose from. 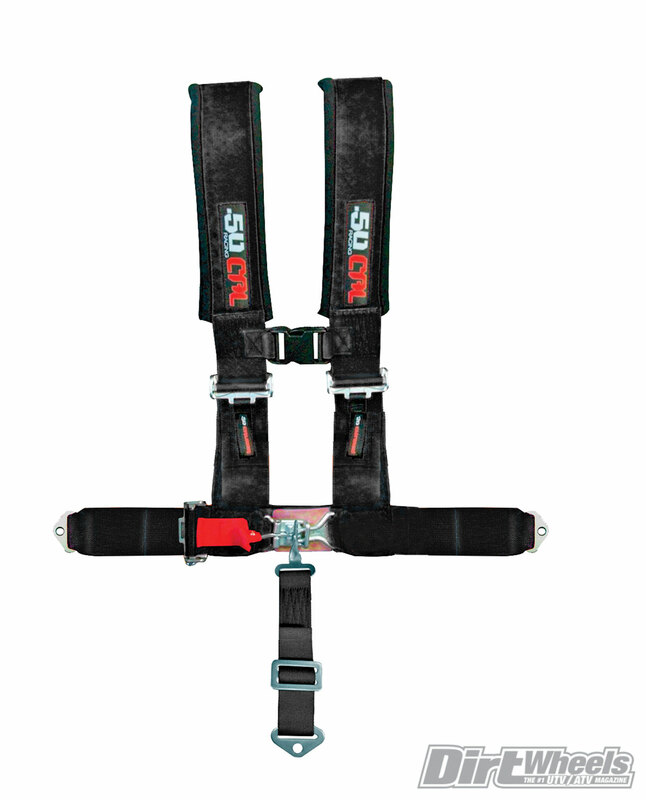 UTV Inc. offers this four-point harness with 3×3 straps. It features sewn-in pads, a sternum strap clip and all-black hardware. It also has a latch & lock design to keep the riders securely fastened. 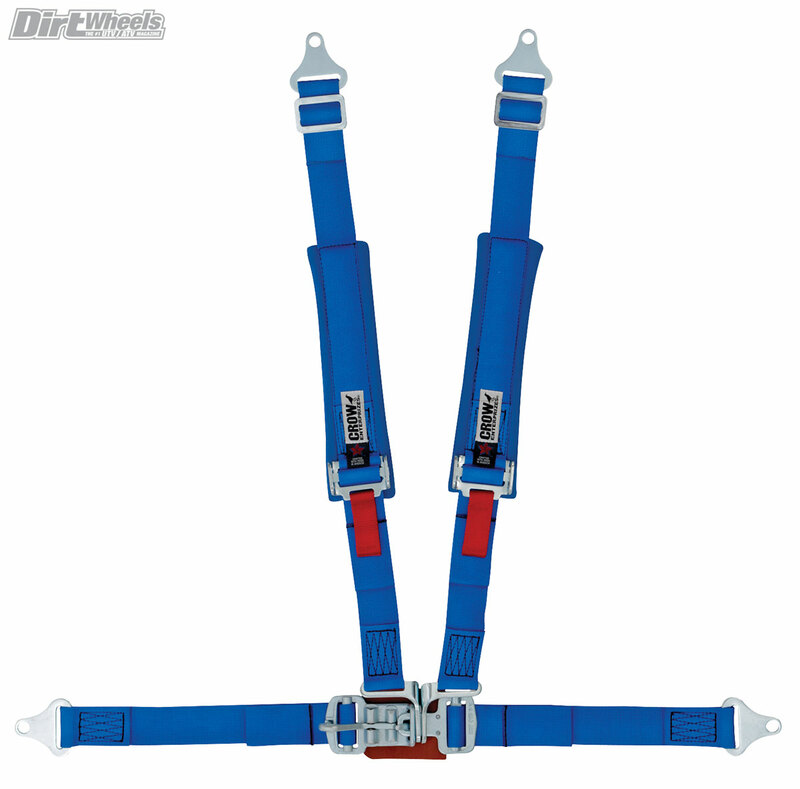 UTV Inc. also offers a 2×2 four-point H-Style latch & lock harness ($104.95). 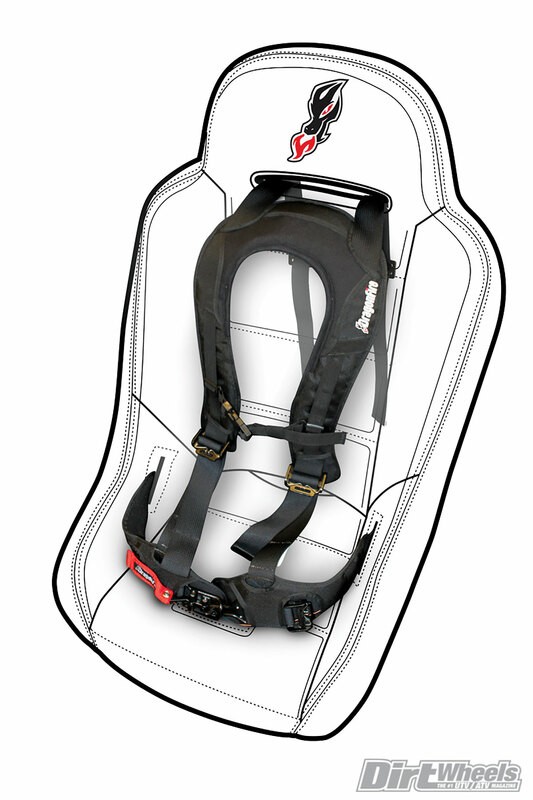 Sparco’s 3×3 six-point harness is FIA and SFI approved for racing. It’s built with an aircraft-quality quick-release buckle and integrated anti-submarine belts. It has a camlock feature for a secure latch, and it’s a snap-in mounting design. You also have a choice of pull-up or pull-down lap belts. Sparco also offers a 2×3 four-point camlock FIA-approved harness ($230), 2×3 six-point HANS Formula camlock FIA-approved harness ($350), 2×3 six-point HANS camlock FIA approved harness ($390), and an eight-point double-shoulder camlock FIA-approved harness ($475). 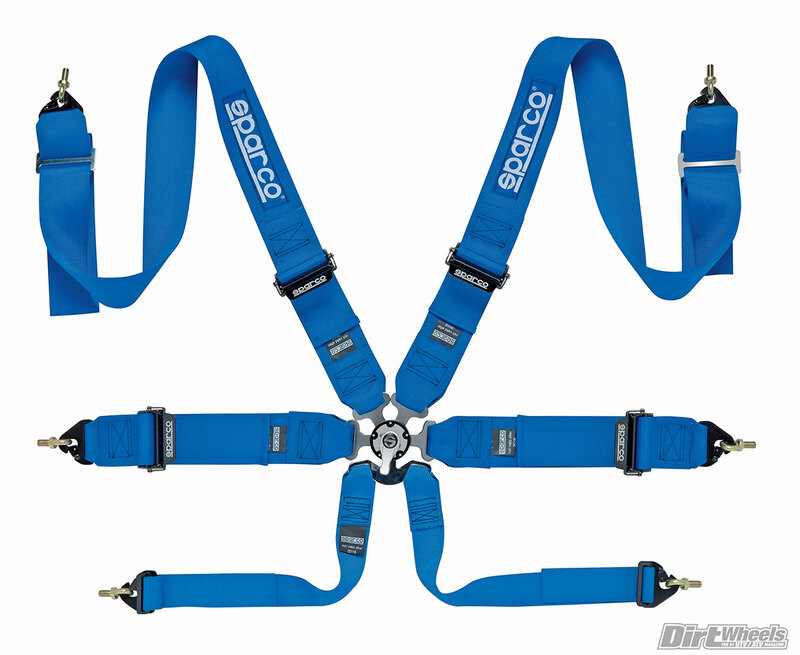 Sparco also has their street harnesses, which range from $105 to $230. 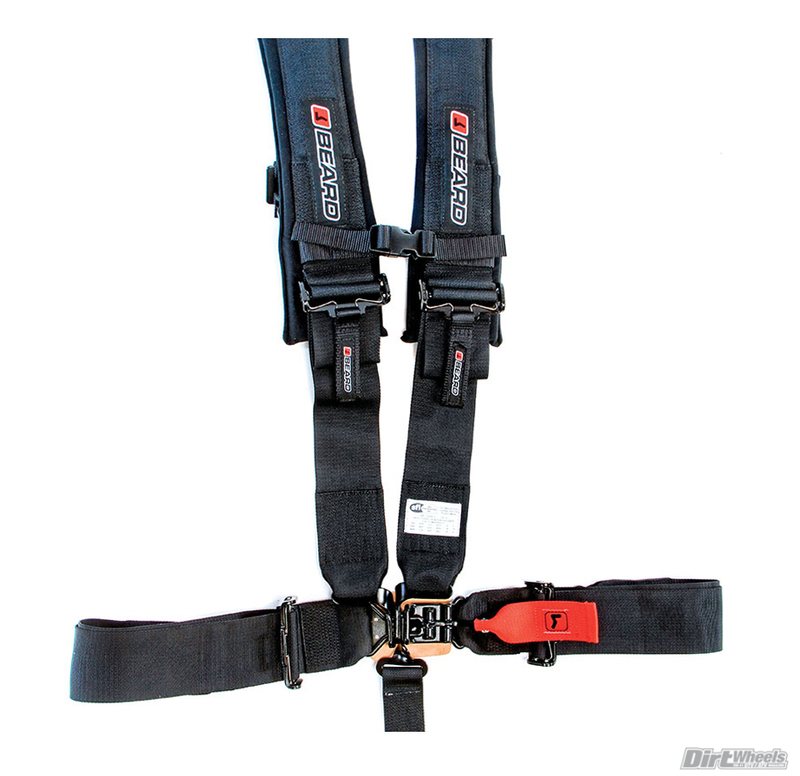 DragonFire Racing’s Evo four-point harness is different than standard harnesses. It offers a micro-suede collar trim that reduces neck and shoulder chafing and retains shoulder position with a non-slip design. Other features include ballistic nylon, padded hip and shoulder straps, elastic tension sternum clip, and are machine-washable. DragonFire also offers an H-Style 3×3 four-point harness ($119.99), H-Style 2×2 four-point harness ($109.99), Youth H-Style 2×2 four-point harness ($90), and an H-Style 3×3 SFI-approved five-point race harness ($139.99). 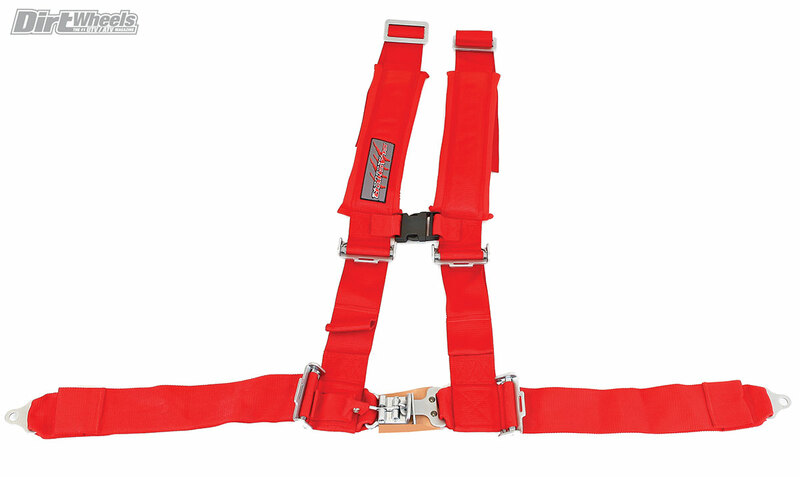 50 Caliber Racing’s 2-inch five-point harness is built from quality materials. It features a latch-lock system, adjustable straps, sternum strap and sewn-in pads. It can be bolted in or wrapped around your UTV cage in the rear. 50 Caliber also offers 3-inch four-point ($112.99) and 3-inch five-point ($117.99) options.